 The Scene Magazine - Page 4480 of 4581 - What's up Toronto? I started off with those lasers down the levee.Â Â Â The crowd was pumped and the boys put on a good show. After a few drinks I headed over to the deck to catch the 2012 New Years Punk Bash at distortion.Â Icebreaker, Weak Link, Harbourside, The Potholez, Crossboners, and More Abuse for $5 it was totally worth it. Everyone was really into the heavier sounds. Next I headed over to CBTGs to see the New Year’s Eve Drunktacular featuring a collection of the bars favourite acts such as The Drunks, Be Alright, The Strangled, and Danielle Trouble. Just a typical night on the deck if it wasn’t for the constant reminders of happy new years I wouldn’t have even realized what day it was.Â Â When the clock struck midnight someone had to remind me that it was 2012…and all I could do was look up at the stars and think: wow we’ve made it this far, whats next?